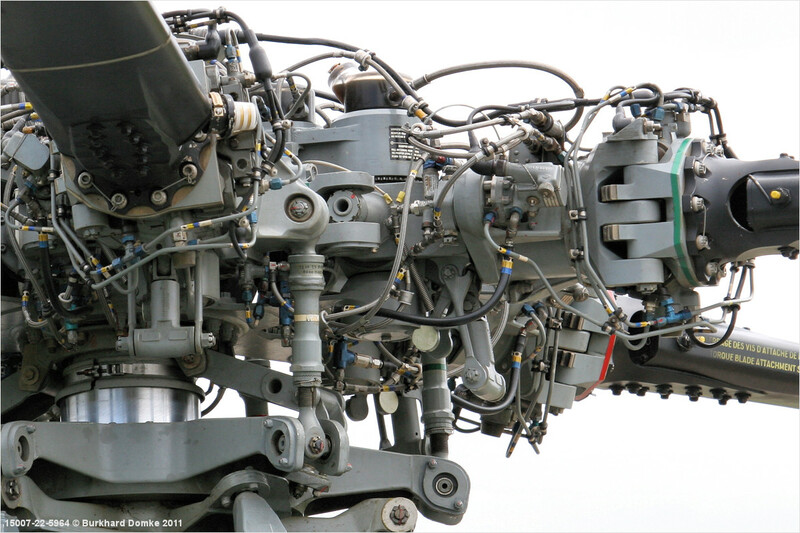 Main rotor head and swashplate assembly. Note flapping hinge in line with lead/lag hinge, both sharing a single oil reservoir for lubrication. Also note spring-loaded blade droop stops.